Port Washington, NY, Oct. 2, 2018 – When BEB Capital acquired a 44 space parking garage in Manhattan’s Lenox Hill district in 2008, it was one of a number of strategic investments the firm was making to increase its footprint in Manhattan. Four years later, the situation was upended when the MTA used eminent domain to incorporate most of the garage into the new Second Avenue subway tunnel. BEB Capital’s total condemnation award from the MTA was just over $3.6 million. BEB Capital has now sold the small portion of the garage that was not incorporated into the subway tunnel, roughly equal to 13 parking spaces. 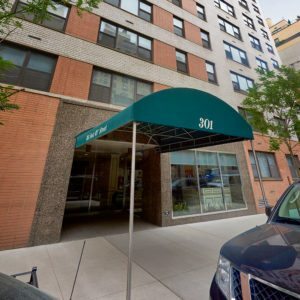 The property, at 301 East 69th Street at the base of the co-op known as The Mayfair, was purchased by an investment partnership for $1 million. Together with the condemnation award from the MTA, this marks a profitable outcome for the company. “While our initial plans for this strategic investment were interrupted by the MTA, we are delighted by the success of the new subway line and are investing in East Harlem multifamily property in anticipation of the line’s extension,” said Lee Brodsky, CEO of BEB Capital. Earlier this year, BEB Capital acquired a multifamily building at 238 East 106th Street in East Harlem. This followed the purchase of a development site last year on East 118th Street, where the firm plans to erect another multifamily building. BEB Capital sold that 186-space asset in the fall of last year for $16 million and invested the proceeds on a tax-deferred basis in a Section 1031 exchange to acquire the East 106th Street multifamily property. “That was a pivotal event in our business strategy, enabling us to leverage our success with The Corinthian garage to rebuild our Manhattan portfolio,” Mr. Brodsky said. Based in Port Washington, NY, BEB Capital is owned by the Brodsky family, known for its long history in real estate development, and headed by patriarch Bert Brodsky. The BEB Capital team, led by Lee Brodsky, has some 100+ years of combined entrepreneurship and institutional industry experience to invest prudently, create value, and efficiently operate commercial and residential real estate. BEB Capital has a real estate and investment portfolio consisting of mixed-use developments, parking facilities and restaurants totaling over $340 million in assets throughout the East Coast. In addition, the firm has interests in a diverse set of businesses, some of which it owns and operates, and others in which it serves as a general or limited partner. For more information, visit www.bebcapital.com.